To play well with a livable planet, #FlyLess. Here's the new improved https://t.co/dTN60J6Abv site! Be sure to click on "biographies." This project inspires me and returns the energy I put into it in spades. Earth scientists (and others), please consider joining us! "Our national flower is the concrete cloverleaf." 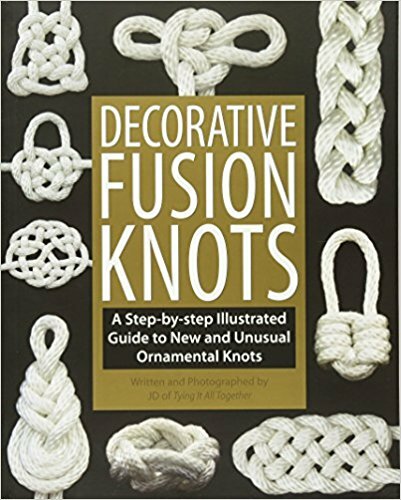 Decorative Fusion Knots: A Step-by-Step Illustrated Guide to New and Unusual Ornamental Knots. Respected internationally for his knotting skills and clear, concise video and book presentations, J. D. Lenzen shows how to tie knots like no others. Just as origami figurines are created through the merging of different folding techniques, he creates new knots by combining historical knot elements and new knotting techniques.